I know, I know. 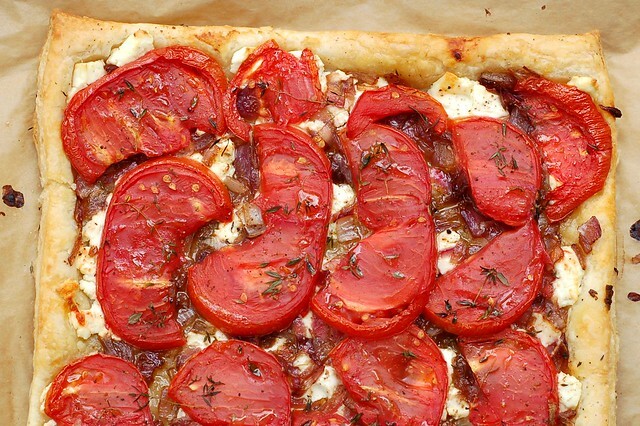 You're probably thinking, "enough with the tomatoes!!" But I can't seem to stop... Bear with me, though, we'll be on to winter squash and root veggies ad nauseum soon enough. The tarts were inspired by one that our friend, Kali, made for us this summer. 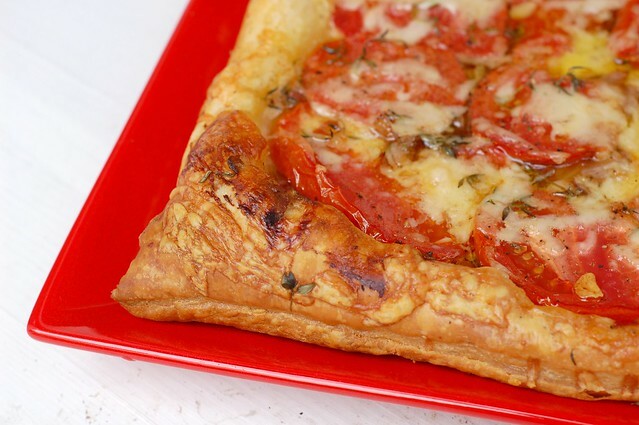 The original recipe, which is much simpler than the one below - just pastry, tomatoes, thyme, olive oil, salt and pepper, is from Canal House Cooking Volume No. 4: Farm Markets & Gardens - a delicious set of cookbooks. While the Canal House tart was delightful, I had a hankering for something a tad more substantial and less appetizer-like today. I also had a big hunk of gruyère cheese that was not getting any younger and a simple chevre that I had no other plans for. 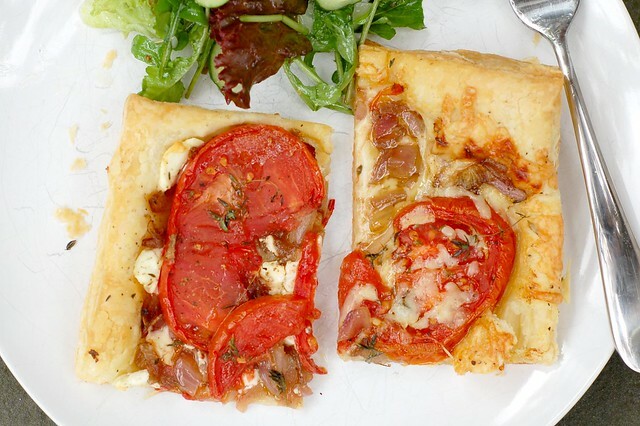 And since the package of puff pastry I'd bought came with two sheets, I thought, "why not try this tart two ways?" So I made one with the goat cheese and one with the gruyère. But that is where the differences end, otherwise, they were identical. 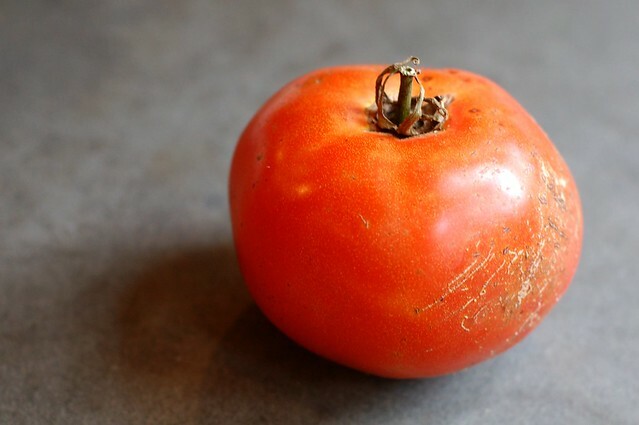 It's important to use only the best tomatoes -- you want something really sweet and rich for this since the flavor will be first and foremost. 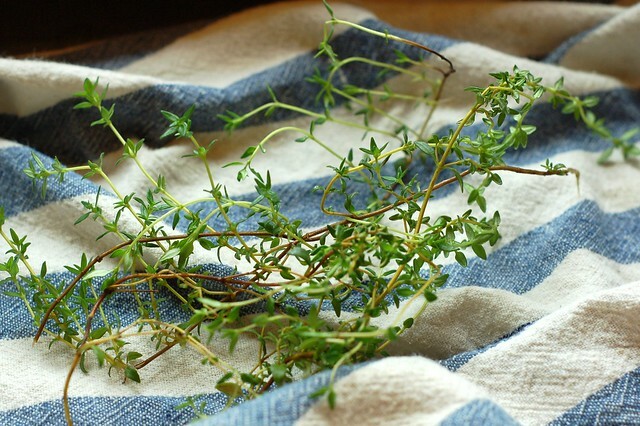 Thankfully, our thyme plant is not bothered by the end of summer (unlike me) and was happy to oblige with a few tender stems. I am a huge fan of caramelized onions (though to be honest these were not truly caramelized, just sautéed with salt, pepper and a splash of balsamic vinegar) so I thought some alliums would make a nice addition, too. The resulting tarts were mighty toothsome. I loved the addition of the cheese and the sweet onions. My only regret was that I had not thought to scatter some pine nuts on them (so I've added that in the recipe below). 1. 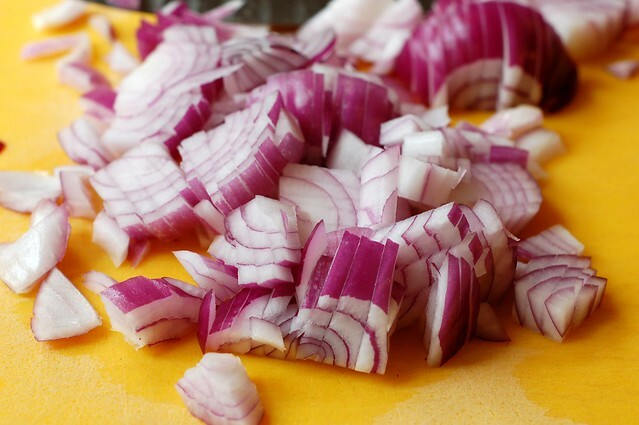 Preheat the oven to 375 degrees F. While you're waiting for the pastry to defrost, sautée the onions in a frying pan in olive oil until translucent. Splash with a little balsamic vinegar and continue to cook another 1-2 minutes. 2. Lay the sheet of puff pastry out on a parchment paper-lined baking sheet. Prick the dough inside the border all over with the tines of a fork to prevent it from puffing up too much during baking. 3. 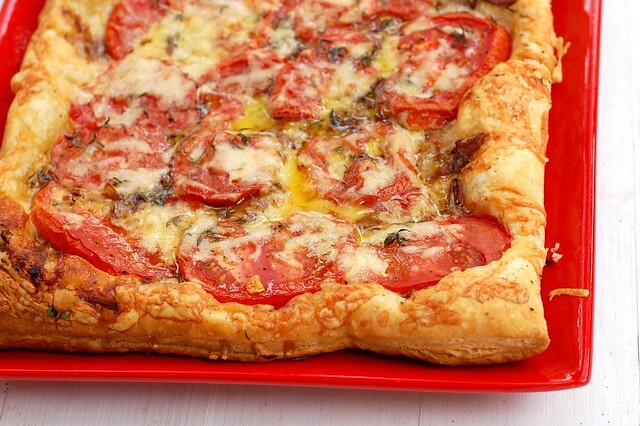 Spread a layer of whichever cheese you choose on the pastry. 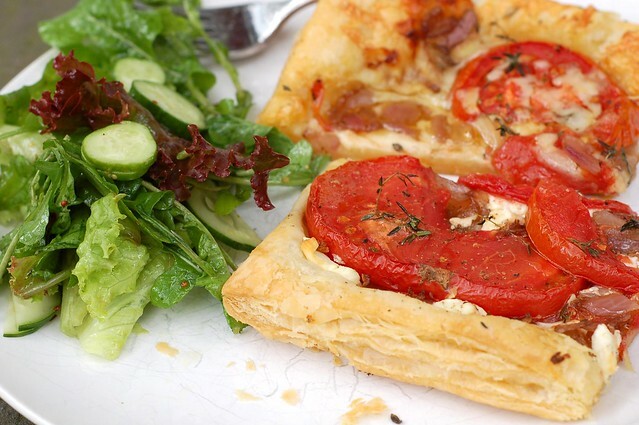 Top with the onions, then arrange the tomatoes on the pastry in a single layer (crowding or overlapping the tomatoes will make the puff pastry soggy). Strip the branches of thyme, scattering the leaves over the tomatoes. Drizzle the tart with some olive oil and season with pepper. If using gruyère, reserve a little cheese to sprinkle over the top. 4. Bake the tart until the pastry is crisp and deeply browned on the bottom and around the edges, 30-40 minutes. Season with salt and serve. When can I come over for a bite? Jealous...your tomatoes look so fresh and delicious. I love tomatoes so much that you could never post too many recipes with them. I love this one - so simple, delicious and satisfying. Thanks for the yummy recipe. I Love the idea, I think I will tweak it a bit and might make it with filo pastry because I love the crunch it gives..